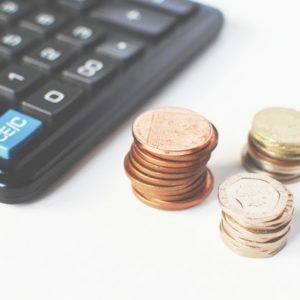 Why do benefit amounts change? The amount that people get in benefits often goes up each year in April because of inflation. Inflation is a word for when prices go up so money is worth less. Inflation means that in 2017 you can buy less for your money than you could in 2016. For example, a 2% rate of inflation would mean that something costing £1 last year would cost £1.02 this year. If you want to learn more, you can watch an accessible video about why prices go up over time. Inflation means that to be able to afford the same amount of things, the money you have coming in needs to go up by the same amount as other prices are going up each year. Why did benefits not go up last year? The government chooses how much is paid for different benefits. They decided that working age benefits were going to be frozen (stay the same amount) for 4 years from April 2016. This means that pensioners will get more money each year, but people who are younger than retirement age will get the same amount from April 2016 to April 2020. How much will disability benefits change by? Disability Living Allowance (DLA) and Personal Independence Payment (PIP) are paid to anyone who is disabled. It doesn’t matter if you are in work or how much savings you have, you just need to meet the criteria and score enough points at assessment. How much will income replacement benefits go up by? Employment and Support Allowance (ESA), Income Support (IS) and Jobseeker’s Allowance (JSA) are paid to people who are not working. ESA and IS are benefits that replace earnings for people who can’t work because they are ill or disabled. JSA is also a benefit replacing earnings for people who are not in work and some people claiming it are ill or disabled. These benefits will not change for most people. The main part of the benefit, called the Personal Allowance, has been frozen and will stay the same. 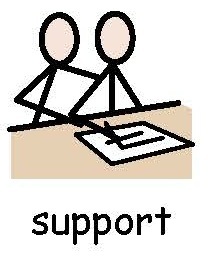 This means the most you can get in Employment and Support Allowance (ESA) has gone up from £186.90 to £188 per week. Are any benefits going down this year? Most benefits are not going down. There have been some rule changes for the benefits cap which means that some people will get less money overall. But this does not apply to people who get disability benefits (PIP/DLA) or Carers Allowance. You can learn more about the Benefits Cap and find out if it applies to you on the DWP website and other advice sites such as Turn2Us. There are also changes for people in the Work Related Activity Group for ESA if they have made a new application after 3rd April 2017. If you are already getting ESA in the Work Related Activity Group this should not affect you. You can learn more about the different ESA groups and the changes on the Citizens Advice website. These changes will not affect everyone. If you think you will be affected then you should get more advice from Citizens Advice Bureau, your local Welfare Rights organisations, or from your Dosh advocate. Where can I get help with my benefits? If you have any more questions or are worried that you are not being paid the right amount, there are lots of websites which can help you. For example, Turn2Us, EntitledTo and Citizens Advice Bureau. You can find them and many more resources in the ‘Links’ page on our website. If you support a family member with their money and benefits and would like to learn more, our ‘Factsheets for Family Carers’ cover topics such as ‘Benefits’ and ‘Where does the money come from?’ which could also help. If you want to learn more about Dosh Appointeeship or Financial Advocacy, please get in touch to find out how we can support you.